Kale Yeah! 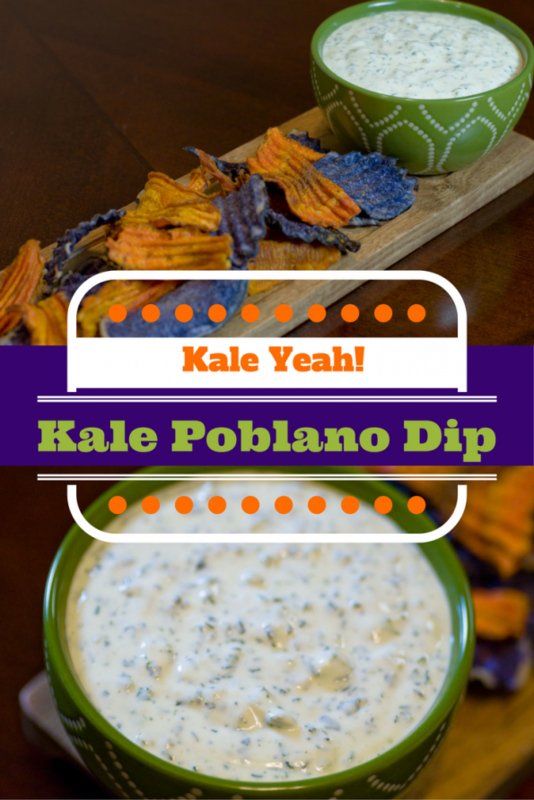 It’s Kale Poblano Dip! What is a chip without a good dip (especially a Kale Poblano Dip)? 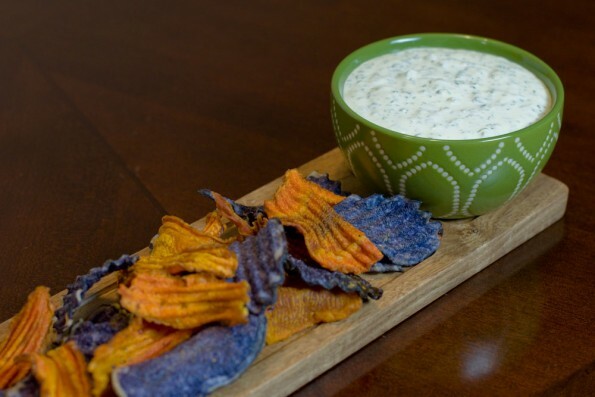 With today being National Potato Chip Day we wanted to share a tasty dip recipe that goes well not only with chips, but also vegetables. At Geeks Who Eat Headquarters we love kale and poblanos so we figured, why not combine them? The result turned out to be a somewhat healthy dip (thanks to fat free Greek yogurt and neufchatel cheese) that tastes fantastic in a multitude of ways and is perfect for a spring or summer get together. This dip requires a bit of mise en place (set up) with the kale and poblano; but once they are prepared, the dip comes together quickly. We hope you enjoy our Kale Poblano Dip! We love finding new and exciting ways to use kale so this dip was an obvious choice for us! We’d love to hear about your favorite dips or your favorite way to use kale in non traditional ways. Leave your comments below or use the #GeekEats hashtag on Twitter. Until next time! Happy National Potato Chip Day! Prepare ice bath for kale. Separate kale leaves from stems and chop into large pieces. Blanch in boiling water for 1 minute. Drain and immediately soak in ice bath to cool. Drain again and pat dry with paper towel, removing extra liquid. Combine all ingredients in food processor and blend until mixed. *The Geeks were not compensated or given any comped items to facilitate this recipe; All opinions are wholly our own. View our Disclosure Policy for more info. Next → Next post: This Saturday: Granger Smith at the Great American BBQ & Beer Fest!